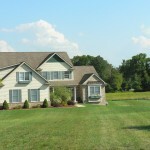 Etta’s Valley subdivision in northwest Dexter is situated on an open pastoral rolling meadow. This spacious neighborhood is located in Washtenaw County, just off Dexter-Townhall Road near Colby Road. 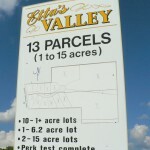 There are 13 lots in Etta’s Valley. 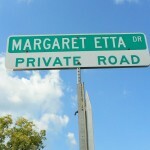 Etta’s Valley neighborhood offers beautiful views of the area. 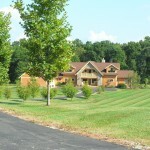 Each home in this development offers their own unique floor plans from Modern to Traditional. There are underground utilities in Etta’s Valley for picture perfect views. Attached are the Etta’s Valley Restrictions for you to review. 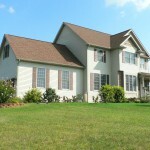 Etta’s Valley is convenient to Hudson Mills Golf Course and Hudson Mills Metropolitan Park. No matter which way you go, you’ll find yourself surrounded by plenty of biking, hiking, walking and cross country ski trails. Independence County Park has fun for everyone with swimming, fishing, boating, biking, disc golf, and roller blades are allowed. Take Jennings Road north to the park off Territorial towards US-23 expressway. These parks are some of the best in the state. The Portage Lake Chain of lakes is within minutes, just northeast of Etta’s Valley. If you like Sailing – then visit the Portage Yacht Club on Dexter-Pinckney Road which is on the chain as well. Fishing on the Huron River is also very popular for anglers. Children attend Dexter Schools: click here to view a video on Dexter Schools or watch the video below.